The exhition is open for the public from January 21 until February 26, 2011. Wednesday, Thursday , Friday and Saturday from 14 h > 19 h and by apointment. At Collect London 2011, the World Crafts Council of Belgium, Francophone presents all around The Vessel recent work of Caroline Andrin,Vincent Beague, Nilton Cunha, Francine Delmote, Pascale De Visscher, Anne Marie Laureys, Thérèse Lebrun, Antonio Spotto. 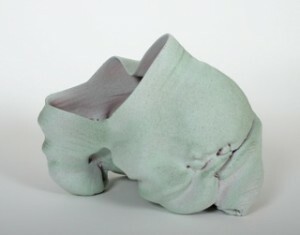 All the artists will attend the Salon Collect London, 2011. 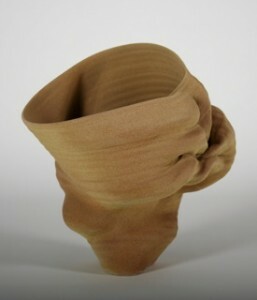 Ceramics on show by Philippe Barde from Switserland and Anne Marie Laureys from Belgium at Gallery Ann Mertens, Leuven, Belgium. September 17 till october 17 2010. My work will participate in the exhibition ‘KOM’ at Cypres Gallery Leuven, B a groupshow all about ‘the vessel’ the curator of the show is Mieke Everaet. 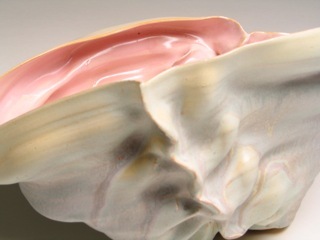 The’Institut supérieur pour l’étude du langage plastique’ at BD de Waterloo, 31, Brussels is showing jewels of Nele Content and ceramics of Anne Marie Laureys in the Rayon Art department. For the solo show i am working on new ceramic forms …. 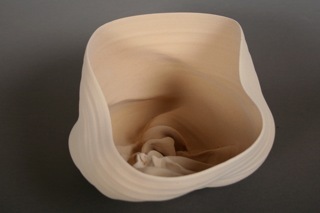 presently several clay-e-motion vessels are in stock at the gallery. 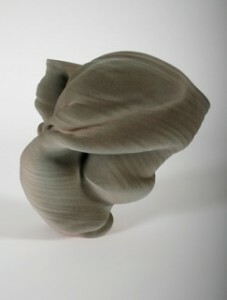 Crafts from Flanders on show at Flow Gallery in London, GB. Salima Thakker, Annemie Decorte, Jeanne Opgenhaffen, Tine De Ruysser, Piet Stockmans, Sofie Lachaert, Anne Marie Laureys. 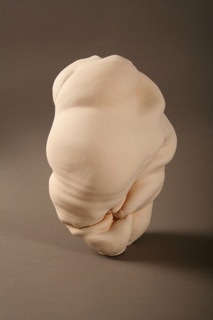 Private view on Thursday 11 February. 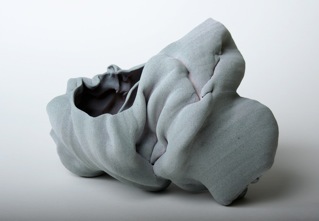 My work is represented in a recent published book Contemporay Ceramics a worldwide survey of inovative works. Direced by Emmanuel Cooper and edited by Thames and Hudson, London, UK. 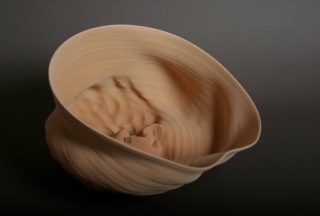 Do you love ceramics? … Go for it! The European Prize for applied Arts is organised by WCC-Bf, in parnership with WCC-Europe, Design Vlaanderen and the City of Mons. The competition is focused on the artist working in the field of applied arts and design-led arts. the selected works will be shown, from November 20 2009 untill January 17 2010, at the Grand Hall of the Anciens abattoirs of the City Mons, Belgium. 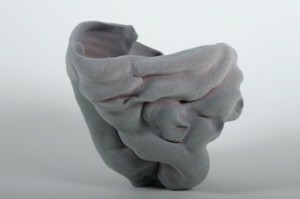 Three of my ‘Clouds by my fingers’ ceramic forms are selected for the competition and exhibition. 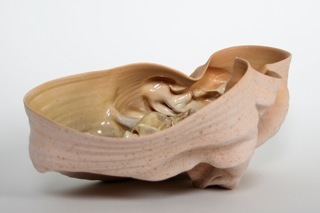 Three works ‘Clouds by my fingers’ are selected for the European Ceramics competition/ Westerwald preis 2009/ Exhibition of the selected works from August 28 2009 – January 10 2010. Keramikmuseum Westerwald, Hohr-Grenzhausen,Germany.